Celebrating the unabridged service of the Holy Mystery of Unction were: Very Reverend Igumen Joseph (Hoffman); Very Reverend Archpriest Samuel Kedala (Dean of the New Jersey Deanery and rector of Holy Spirit Church, Wantage NJ); Very Reverend Joseph Frawley (Chaplain to the United States Military Academy at West Point); Very Reverend Kyril Riggs (Saint John the Baptist Church, Spring Valley NY); Maryon Chaykivsky (Saint Spiridon Church, Perth Amboy NJ); Reverend Stephen Evanina (Assumption of the Holy Virgin Church, Clifton NJ); and Reverend Igor Kseniuk (Saints Peter and Paul Church, Bayonne NJ). 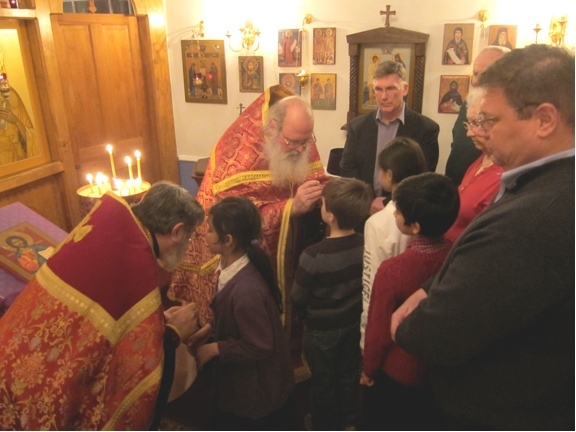 The priests concelebrated in anointing one another and a full church of Orthodox faithful including many young children and infants. The Epistles were read by Reader Joseph Lawliss (Saint Nicholas Cathedral of the Moscow Patriarchate, Manhattan NY). 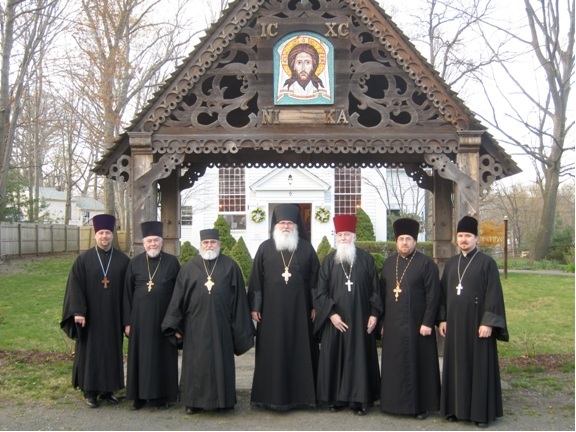 The responses were sung by the Holy Transfiguration Church Choir, under the expert direction of Tatiana Tjoa, with guest singers from the Spirit of Orthodoxy Choir.